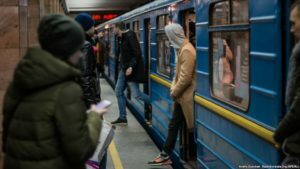 Whether you know some basic Ukrainian or you just want to learn some helpful phrases for your trip to Ukraine, check out these short and useful Ukrainian questions that will help you out in using the transportation, dining out and discovering Ukraine!
! Most of these questions can be answered with one or two words or even just in body language. 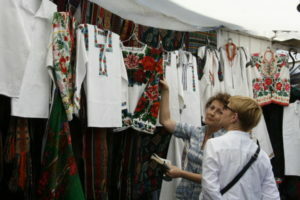 So, here they are, short & useful Ukrainian questions you should learn for your trip to Ukraine. Listen and repeat, then below you can save a cheat sheet on your mobile device or print it. This question with “de” deserves special attention, as it is essential for any human being. Ask it in the restaurant, at the station, at your host’s house. However, the public туалети on the streets are quite rare. You can memorize just this word to ask about the price of anything anywhere: at the market, in the bus or a bar. The full version of Скільки? It can be useful when you want to buy something at the shop, but you don’t know the name of it in Ukrainian. So, just point and ask: Скільки це коштує? Or simply: Скільки це? Скільки коштує вишиванка? – 2000 гривень. 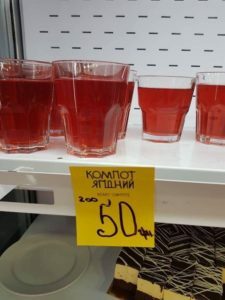 Learn how to use your Ukrainian at the food market in Ukraine by listening to the authentic dialogue between me and a lady at the market in Ukrainian Lessons Podcast #9: How much does it cost? Can I? May I? Can I have? In my opinion, this is one of the most useful words in the Ukrainian language. You can call a waiter just with this word. You can add any noun to ask if you can have something (see example below). Can I have (or buy) this? Again, “це” is “this”, so just point at what you want to buy or order in the restaurant. Можна капучино, будь ласка? Can I have a cappuccino, please? Можна зелений чай, будь ласка? Can I have a green tea, please? Можна червоне вино, будь ласка? Can I have some red wine, please? Можна лимонад, будь ласка? Can I have a lemonade, please? Everyone gets thirsty! Check out our colorful infographic with the names of the drinks in Ukrainian here. 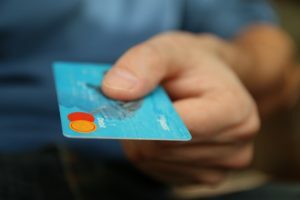 Usually, in the cities in Ukraine, you can pay by card everywhere (except at the markets). However, in the smaller towns and villages, I still make sure before I want to buy something when I have no cash with me. Тут можна заплатити карткою? – Так-так. That one is super useful. You can also say shortly: Рахунок, будь ласка. (Does this bus/train/tram go) to…? На Хрещатик? – (Does this subway train go) to Khreshchatyk? На Поділ? – (Does this tram go) to Podil? На Рівне? 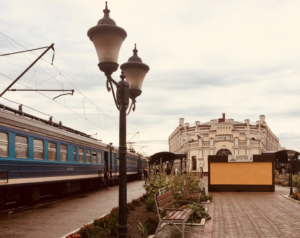 – (Does this train go) to Rivne? На Київ? – (Is this a plane) to Kyiv? This one will be your lifesaver if you plan to take the subway in Kyiv during the rush hour. The trains can get quite full, especially between the central stops, so you might happen to be in the middle surrounded by people when you need to get off. The person will either say “Так” or let you go. Ви виходите зараз? – Так. If you are on the train and you are not sure where you are, ask this question. Яка це станція? – Це Козятин. The same as above, but for the bus/tram stops. This is a formal way to ask a person about his/her name and maybe make a Ukrainian friend! Except for the basic questions, you might also want to check our 14 Basic Ukrainian Phrases for Your Trip to Ukraine. Ask this question as much as you can to learn many new things about Ukraine! Що таке компот? – It’s a sweet drink made of fruits. 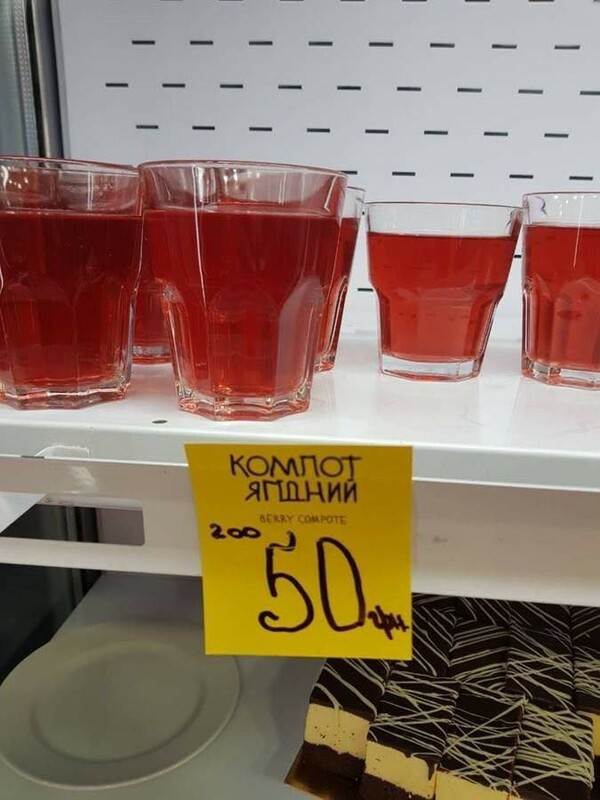 What is “kompot”? 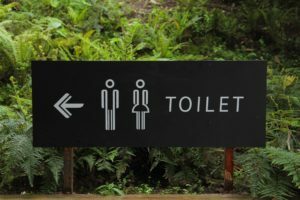 What does “kompot” mean? Take advantage of your trip to Ukraine to learn some new words that you see or hear around! Start with “Що таке…” and add a Ukrainian word meaning of which you want to know. How to say “ATM” in Ukrainian? Again, be curious and talk to people instead of asking Google Translate (which will not always give you the correct answer). Is this Ukrainian or Russian? Although Ukrainian is the official language in Ukraine, many people speak Russian here, especially in the big cities in the Eashttp://www.ukrainianlessons.com/useful-ukrainian-questions/t and South of Ukraine, and in Kyiv. So, sometimes you should ask if the words you hear or see are in Ukrainian or in Russian. Так = yes > you can relax and enjoy the conversation. Download this cheat sheet to your phone. 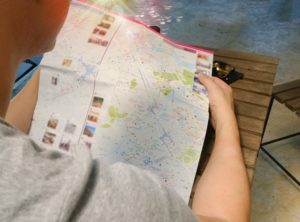 It can be helpful while traveling to Ukraine! I hope these short and useful Ukrainian questions will help you to have a memorable and bright experience in Ukraine.